Custom fancy wedding anniversary ring band in prong setting with your choice of diamonds or natural gemstones in 14k or 18k white, yellow or rose gold and platinum. Order Now, Ships on day-name month-number/day-numberOrder Now, Ships in business days. 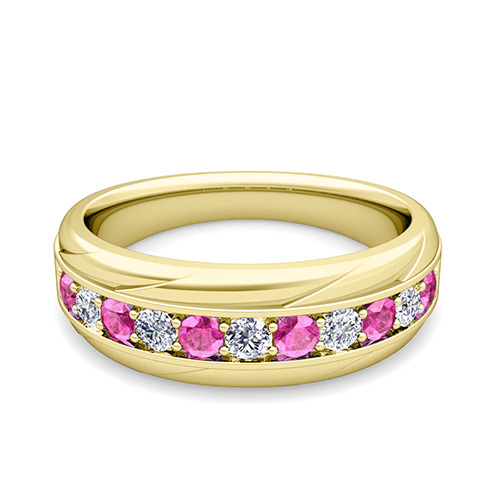 This stunning wedding band showcases brilliant diamonds and pink sapphires set in 14k gold. The classic and timeless design makes this ring a perfect choice as a wedding ring or anniversary ring. 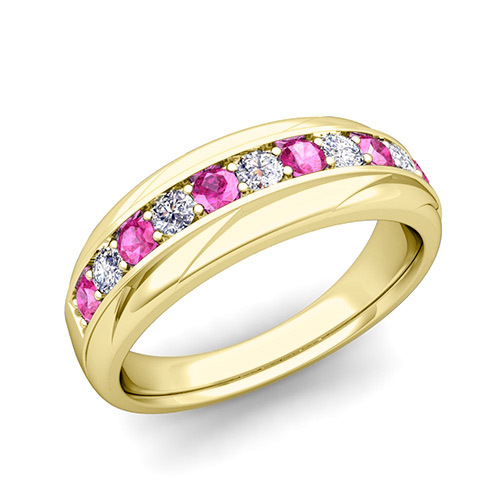 This stunning wedding band showcases brilliant diamonds and pink sapphires set in 18k gold. The classic and timeless design makes this ring a perfect choice as a wedding ring or anniversary ring. This stunning wedding band showcases brilliant diamonds and pink sapphires set in platinum. The classic and timeless design makes this ring a perfect choice as a wedding ring or anniversary ring. This stunning wedding band showcases brilliant diamonds and blue sapphires set in 14k gold. The classic and timeless design makes this ring a perfect choice as a wedding ring or anniversary ring. 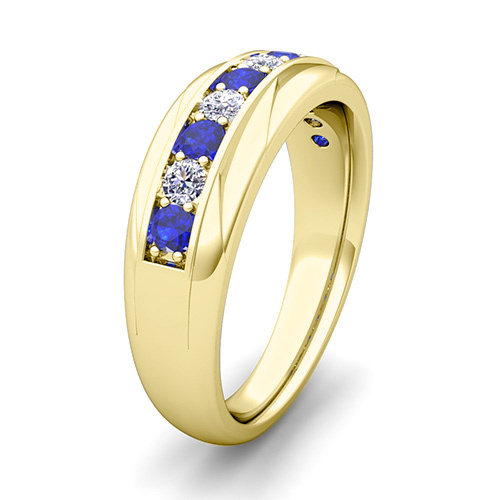 This stunning wedding band showcases brilliant diamonds and blue sapphires set in 18k gold. The classic and timeless design makes this ring a perfect choice as a wedding ring or anniversary ring. This stunning wedding band showcases brilliant diamonds and blue sapphires set in platinum. The classic and timeless design makes this ring a perfect choice as a wedding ring or anniversary ring. This stunning wedding band showcases brilliant diamonds and yellow sapphires set in 14k gold. The classic and timeless design makes this ring a perfect choice as a wedding ring or anniversary ring. This stunning wedding band showcases brilliant diamonds and yellow sapphires set in 18k gold. The classic and timeless design makes this ring a perfect choice as a wedding ring or anniversary ring. This stunning wedding band showcases brilliant diamonds and yellow sapphires set in platinum. The classic and timeless design makes this ring a perfect choice as a wedding ring or anniversary ring. This stunning wedding band showcases brilliant diamonds and rubies set in 14k gold. The classic and timeless design makes this ring a perfect choice as a wedding ring or anniversary ring. This stunning wedding band showcases brilliant diamonds and rubies set in 18k gold. The classic and timeless design makes this ring a perfect choice as a wedding ring or anniversary ring. This stunning wedding band showcases brilliant diamonds and rubies set in platinum. The classic and timeless design makes this ring a perfect choice as a wedding ring or anniversary ring. This stunning wedding band showcases brilliant diamonds and emeralds set in 14k gold. The classic and timeless design makes this ring a perfect choice as a wedding ring or anniversary ring. This stunning wedding band showcases brilliant diamonds and emeralds set in 18k gold. The classic and timeless design makes this ring a perfect choice as a wedding ring or anniversary ring. This stunning wedding band showcases brilliant diamonds and emeralds set in platinum. The classic and timeless design makes this ring a perfect choice as a wedding ring or anniversary ring. This stunning wedding band showcases brilliant round diamonds set in 14k gold. The classic and timeless design makes this ring a perfect choice as a wedding ring or anniversary ring. This stunning wedding band showcases brilliant round diamonds set in 18k gold. The classic and timeless design makes this ring a perfect choice as a wedding ring or anniversary ring. This stunning wedding band showcases brilliant round diamonds set in platinum. The classic and timeless design makes this ring a perfect choice as a wedding ring or anniversary ring. This stunning wedding band showcases brilliant black and white diamonds set in 14k gold. The classic and timeless design makes this ring a perfect choice as a wedding ring or anniversary ring. This stunning wedding band showcases brilliant black and white diamonds set in 18k gold. The classic and timeless design makes this ring a perfect choice as a wedding ring or anniversary ring. This stunning wedding band showcases brilliant black and white diamonds set in platinum. The classic and timeless design makes this ring a perfect choice as a wedding ring or anniversary ring. For Security reasons, we can ship orders to physical business or home addresses only. We do not ship to P.O Box addresses and APO/FPO addresses. Orders outside of the US are through International Checkout, a third-party service. International Checkout can ship to most of the countries in the world. UPS or FedEx Overnight Shipping with Saturday Delivery: if you need your order to arrive on a Saturday, you may upgrade the shipping method at checkout for $20.00. Note: Saturday Delivery may NOT be available in some areas, please contact our customer service representative prior your purchase to confirm the delivery. * This service is only applied for Domestic Orders. Please contact our Customer Service at 888-636-1688 prior your purchase to confirm the delivery. Signature required upon delivery by UPS, USPS, or FedEx, regardless of any waivers you have from them. Please arrange for an eligible recipient to be available to sign for the package. This requirement is for your protection. We apologize for any inconvenience this may create. Any questions or concerns, please our contact customer service prior your purchase. For more shipping information, please visit our Shipping Information Page. 1. Are the diamonds or gemstones real? All our fine diamond or gemstone jewelry is manufactured using the highest quality Natural Diamonds and Natural Gemstones and is inspected by our in-house GIA Graduate Gemologist prior to shipment. Our fine jewelry also comes with a Certificate of Authenticity card. Most of our fine jewelry is covered by our lifetime warranty. For more details, please visit our Lifetime Warranty Page. 2. Is the gold real? We Guarantee all our gold or platinum jewelry is made entirely of gold or platinum. Gemstones set in gold or platinum merchandises are made entirely of gold or platinum and containing natural diamonds, sapphires, rubies, emerald, or other genuine gemstones. Our fine jewelry comes with a Certificate of Authenticity card. 3. How do I determine my ring size, necklace length, or bracelet length? In our Jewelry Education Center, you can print out our Ring Size Guide to determine your ring size. Or you can request a Free Ring Sizer. We will mail a free plastic ring sizer to you within 5 to 7 business days once we receive your request. In the Jewelry Education Center, you can also find the international ring size chart, necklace or bracelet chart to determine which size or length of jewelry is perfect for you or your loved one. 4. What is your return/exchange policy? 5. 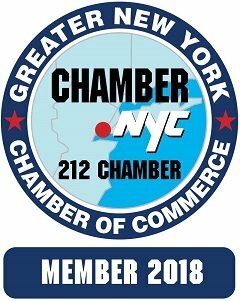 Will I be charged sales tax? New York State is subject to sales tax. We are required by law to collect tax in states where we have a physical presence. 6. How does my jewelry be packed? All My Love Wedding Ring jewelry is presented in an elegant jewelry gift box and a jewelry polishing cloth is supplied for ongoing care of the item. We also include a gift card with your purchase making it ready to present to your special loved one. For more frequently asked questions, please click the FAQs.